Today is World Hydrography Day, an annual event taking place on the 21st June each year. The event is an opportunity to increase public awareness of the vital role that hydrography plays in everyone’s life. The theme for this year’s World Hydrography Day, which is also the 95th anniversary of the establishment of the International Hydrographic Organization (IHO), is: “Hydrography- the key to well-managed seas and waterways”. This theme aims to bring to the wider communities’ attention the importance of hydrography and how our knowledge of the shape, nature and depth of the seabed is a fundamental requirement for the safe, sustainable and cost effective use of the world’s seas, oceans and waterways. This knowledge not only supports the safety of navigation, but also a wide range of other economic activities and the protection of the marine environment. OceanWise supports world hydrography by addressing the needs of non-navigational users including governments, ports & harbours, oil & gas companies and renewable energy providers. 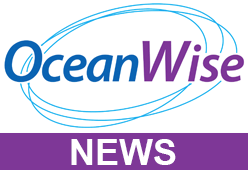 OceanWise’s expertise, products and services include Marine and Coastal Mapping Data, Environmental Data Sharing and Publishing, Enterprise GIS and Productivity Tools, and Training and Mentoring. Click on the image below to find out more.